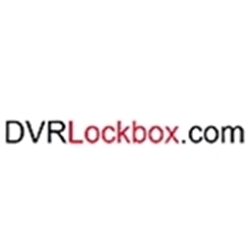 Our DVR Lockboxes with cooling fans are made of super strong 16 guage steel with removable lid for easy access, locking front door with cam lock and 2 keys, air vents, cooling fan(s) and power cord(s) for superior cooling, rubber bumpers and durable textured powdercoat finish. 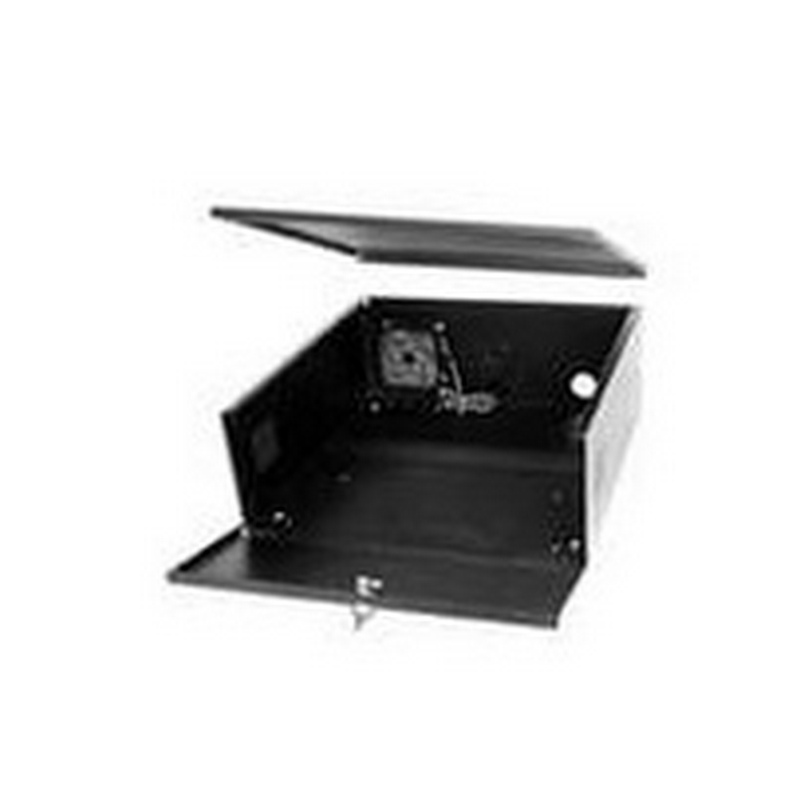 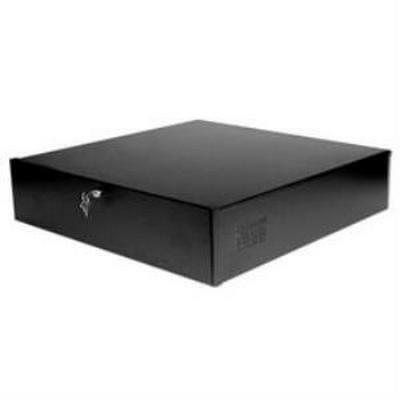 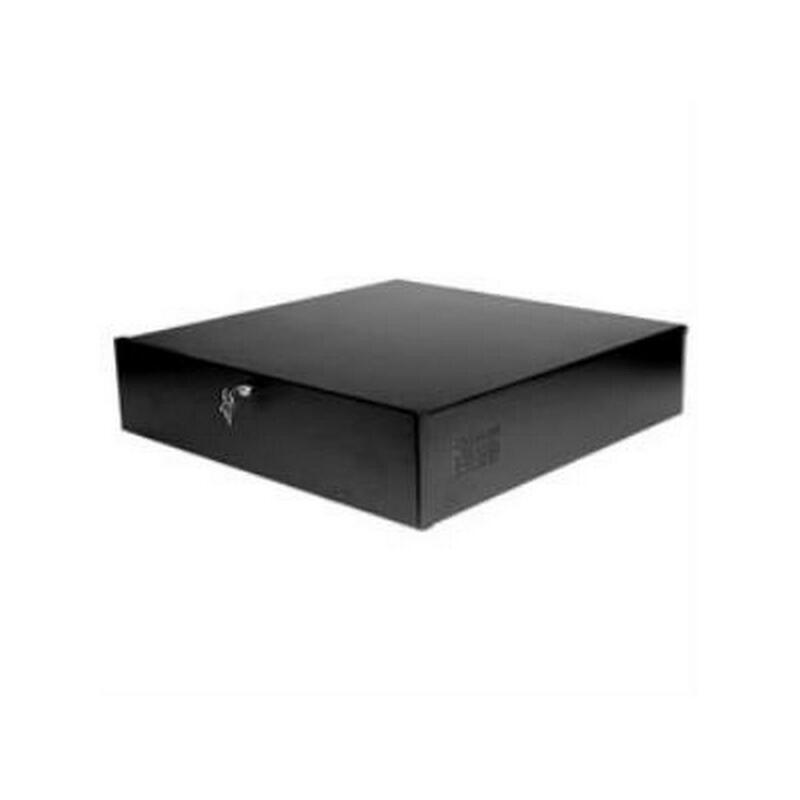 Protect your DVR/VCR with this low profile Security Lock Box which includes a cooling fan. 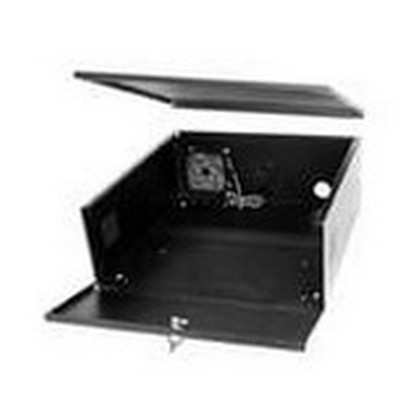 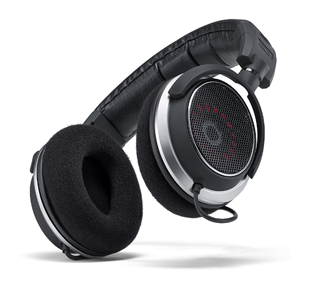 Dimensions: 21in (W) x 21in (L) x 8in (H).